Is there a particular component of your vehicle that needs replacing? You’ve come to the right place then! 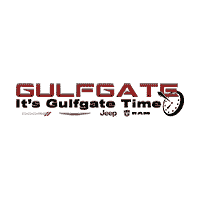 The Gulfgate Dodge Chrysler Jeep Ram Parts Department can properly diagnose and outfit your vehicle with any OEM part or accessory from our well-stocked inventory. Just click on the SHOP FOR PARTS button below – it’s that simple! We hope to hear from you soon, and please ask any further questions by calling us at (877) 300-7617. Also, don’t forget to check out the current parts specials and incentives we have going on! By submitting your contact information, you consent to be contacted by telephone about purchasing a vehicle or obtaining vehicle financing. Clicking on the Send button above is your electronic signature.